Well, this dead horse ain’t gonna beat itself. I would almost almost be willing to give Cowen a pass. I mean, he came into office in mid 2008, the recession started around September when he was probably still getting his correspondence sent to his old address. It’s not his fault, right? I mean, most of the bad decisions that led to Ireland’s rather spectacular fall from economic grace were made long before he took office, right? Well yes. They were. By him. When he was Minister for Finance from 2004 to 2008. 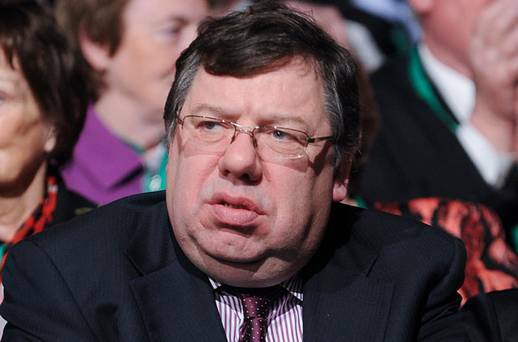 Calling Brian Cowen the worst Taoiseach is probably not going to be that controversial (he said, sweet naïve fool that he was) because the sheer scale of his failures simply dwarf those of his predecessors. Cowen was not a crook, and he wasn’t a liar. He was something far more dangerous; an ordinary bloke in WAY over his head. Cowen got his start in politics at the tender age of 24, winning the seat left vacant by the death of his father, and went on to have an extremely impressive career, becoming Minister for Labour at 32, before trying out Health and Children, Foreign Affairs and Finance. After Bertie Ahern resigned from office as Taoiseach, Cowen was seen as a safe and supremely competent set of hands to replace him at the wheel. When the credit crunch started to bite Cowen’s government reacted by giving a guarantee to the Irish Banking System that the Irish Government would cover the debt of the six largest banks which they were assured were not that extensive. Which, in the grand cosmological scale of things, I could suppose you could argue was true. This doesn’t however, change the fact that my daughter’s daughter’s daughter’s cybernetically enhanced super clones will still be paying off this debt. The end result of this was the European Central Bank, the European Commission and the IMF (whose powers combine to form the almighty TROIKA) basically took control of the country’s finances and said that we couldn’t have them back until we showed we could look after them properly. Following that humiliation Cowen’s government limped morosely from one pratfall to another like the world’s most depressing clown. He was accused of being hungover in a media interview and Jay Leno did a bit where he showed his audience Cowen’s picture and asked them to guess whether he was a drunken bartender or the Irish prime minister. 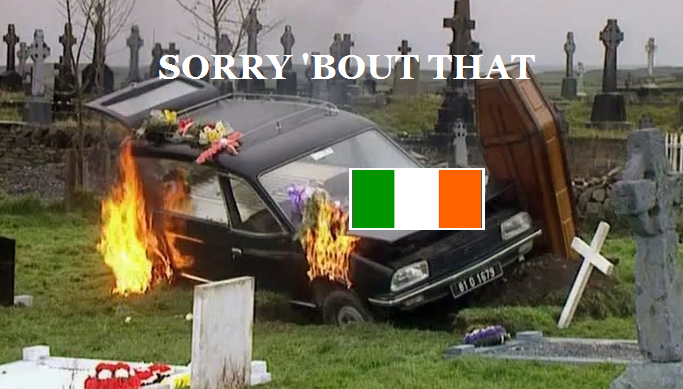 For many Irish people that was the final straw. That shouldn’t happen. Jay Leno shouldn’t be laughing at us, we should be laughing at…well, that shouldn’t happen. In the March 2011 election Fianna Fáil suffered a 75% drop in support and was banished to the land of ghosts and shadows. Cowen left office with an approval rate of 8%, the lowest ever recorded for an Irish incumbent. At the time of writing, he is not known to have ever killed anyone. To hear him sing, ‘tis like the singin’ of the angels themselves. Made other world leaders feel pretty. Well…depends what you mean by “worst”. Fair point. Okay, I’m basically weighing achievements against failures/corruption/bad policies. 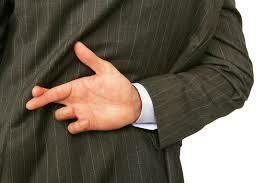 Cowen’s failures were huge and he had no substantive achievements to offset them. Ah, all becomes clear, thanks. You are the second person to threaten me in Lemass’ name. Wowie. A whopping 8% of the country approved of him when he left office. That’s . . . that’s just the stuff of legends, is what that is. Yes. And we are very, very worried about that eight per cent. Sounds like something a lizard man would say! So by the sounds of it, Cowan’s kind of the equivalent of G. W. Bush on this continent? The seemingly ok average Joe who turns out to be nightmarishly incompetent? Or was my out-of-country-and-not-old-enough-to-really-get-politics perspective distorting what his presidency actually was like? Aww, you left out my favourite part about him, his nickname. Biffo. Big Ignorant F*ahem* From Offaly.And he always did his best to live up to it. Ah, but this is a classy up market blog. We’ll have none of that class of languages here.